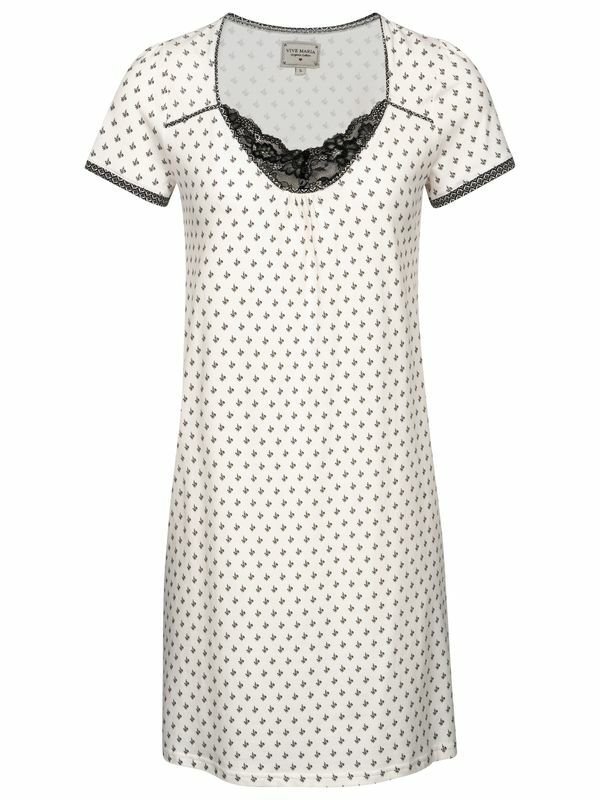 Delicate harmonic colours meet playful patterns - the La Fillette Nightwear Range. 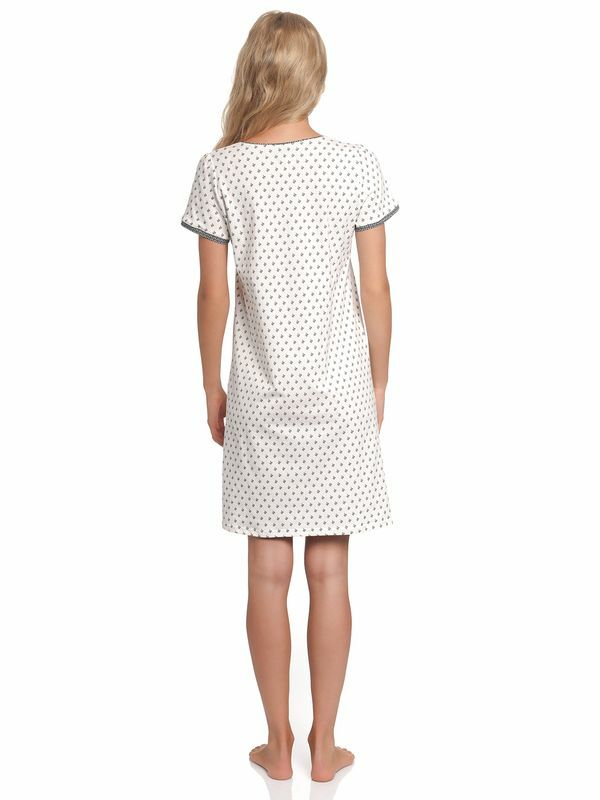 This beautiful Dressing Gown is made of a bio-cotton-material. 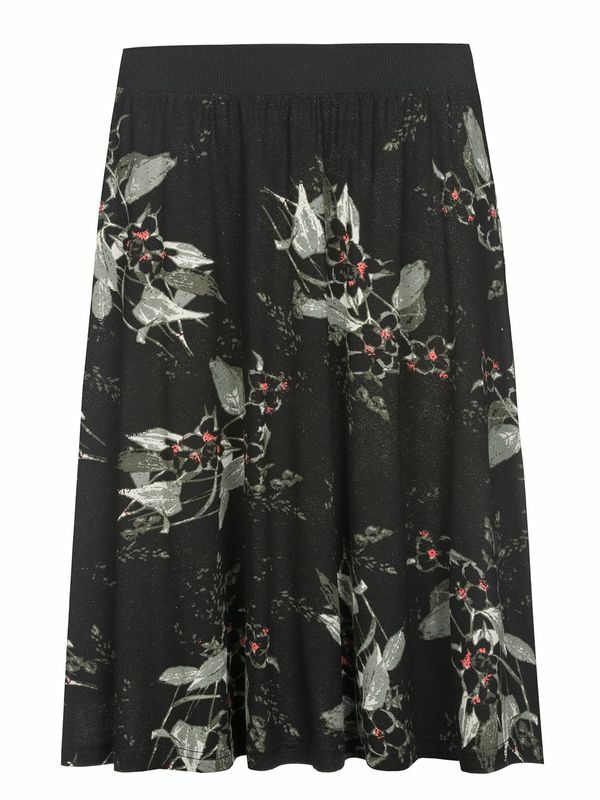 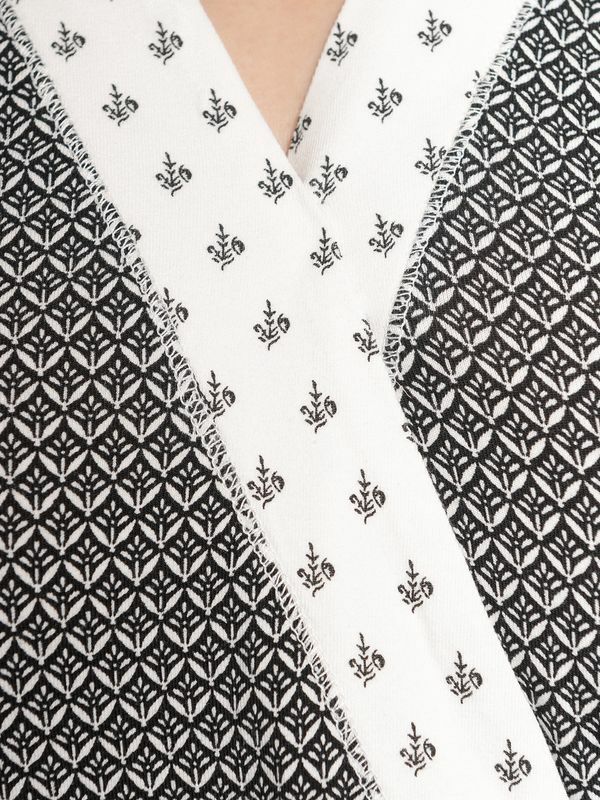 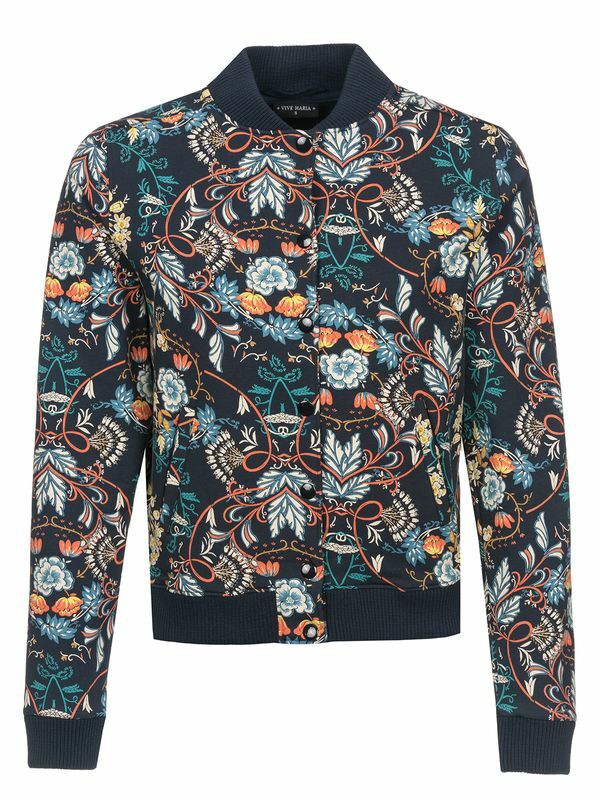 The black and creamcoloured allover pattern consists of a modern minimalprint. 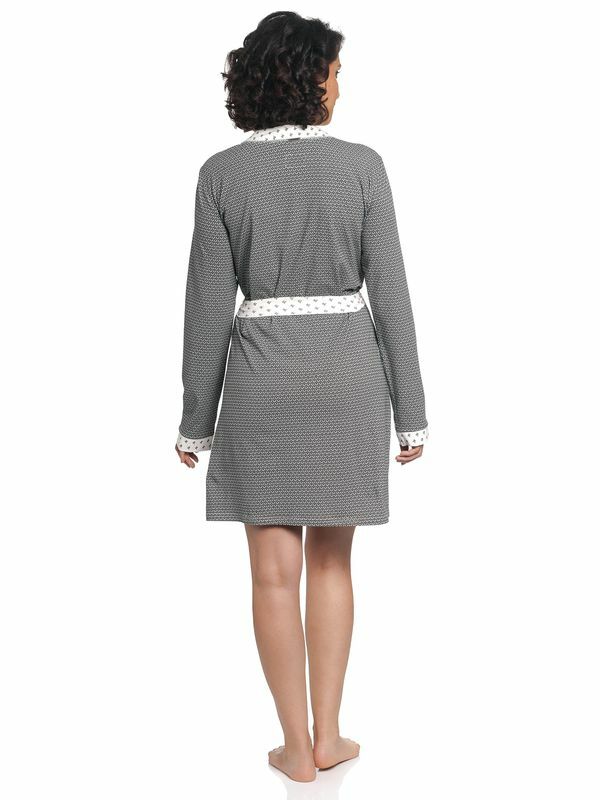 The kimono-like cut is accentuated by a tie belt at the waist. 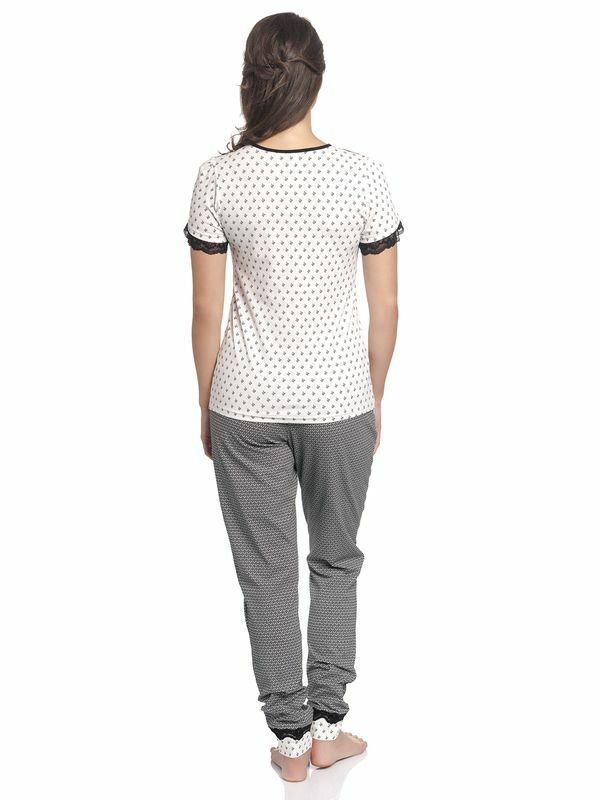 Two pockets with a contrasting trim are practical and stylish at the same time. 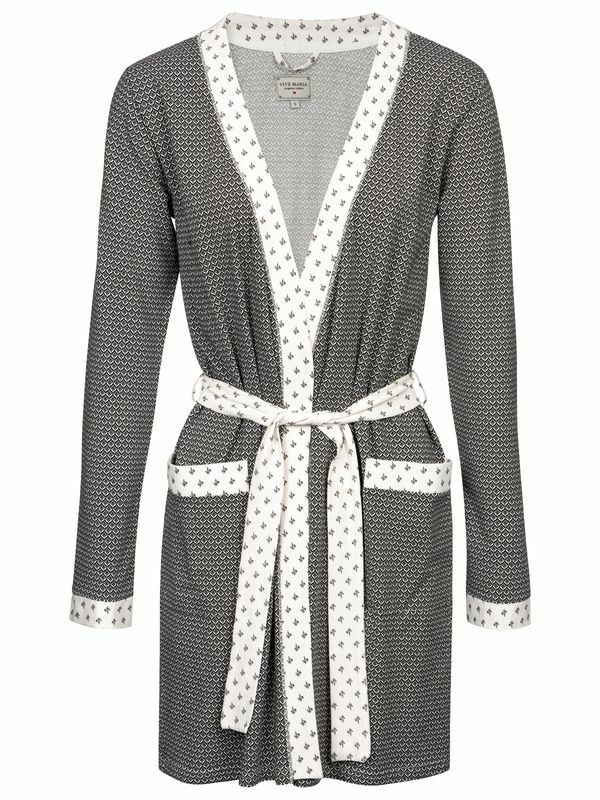 This dressing gown is the perfect addition to anyone's wardrobe that loves to have breakfast in her pyjamas or her nightdress.